Arriving in this glamorous playground of the rich and famous felt exciting, the French Riviera greeting me in the warmth of the mid-morning sun. I was already in lust with this fashionable mecca and was keen to explore everything it would offer to newlyweds celebrating their honeymoon. 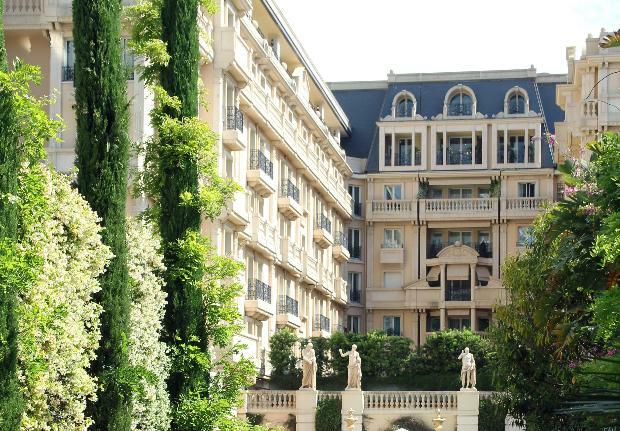 After a short chauffeur-driven journey from Nice airport, I arrived at what was to be my home for the next two days, the Hotel Metropole Monte-Carlo, one of the best-known luxury hotels in Monaco and most prestigious addresses. 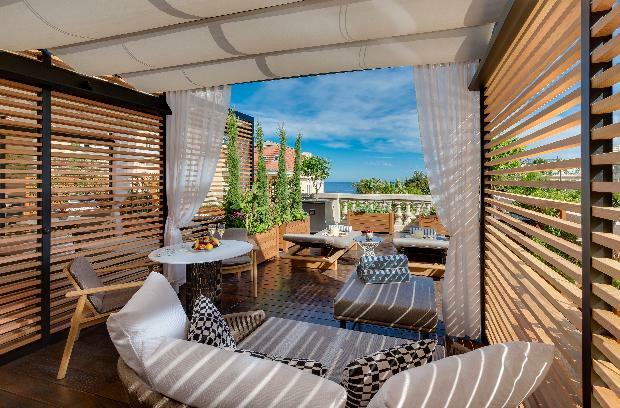 It's set back from the road down a private drive, just a stone's throw from designer boutiques and the famous Casino de Monte-Carlo, boasting 126 luxurious yet cosy rooms (of which 64 are suites with separate sitting rooms and a balcony). Each room is decorated in honey-coloured hues with plush furnishings and white marble bathrooms. 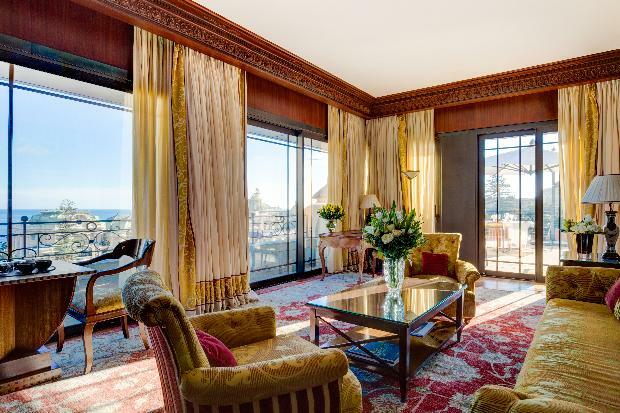 The best room in the house is the Suite Carré d'Or, a penthouse suite with a large private rooftop terrace revealing farflung views of Monte Carlo and the famous casino. 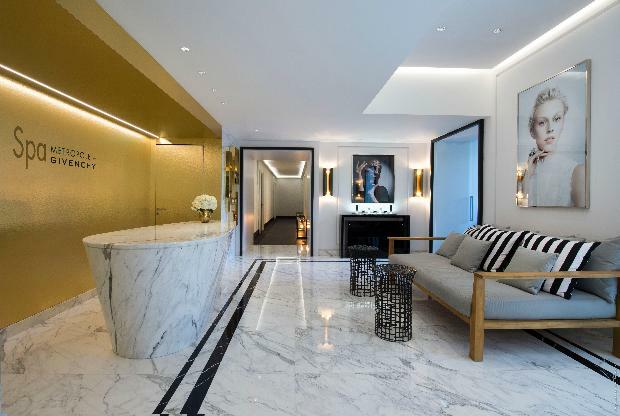 Spa lovers will be eager to visit the new Spa Metropole by Givenchy that has recently celebrated its first year anniversary. After meeting an experienced beauty coach (mine was called Florence) and choosing a fragrance to scent my chosen treatment (which was sprayed on a tissue for the pocket of my bathrobe and also in the treatment room), I was escorted down a sleek, dark corridor to a suite in which to experience the 90-minute Le Soin Noir Signature Facial Treatment that uses algae to help skin appear more luminous. 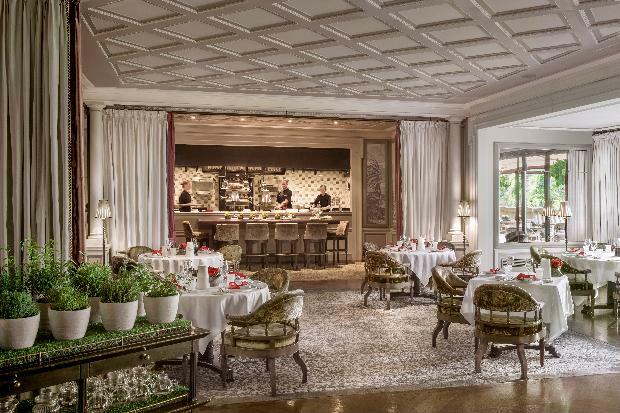 The mood lighting highlights the embossed walls in each room, designed to look like lace on Haute Couture gowns, and the music is taken from a playlist that guests are invited to select. Double suites are also available, equipped with a bath and private Hamman ideal for couples wanting to indulge themselves. Fitness fanatics will enjoy the yoga, pilates and circuit training classes available, plus the Zen and Boot Camp packages that the spa offers. 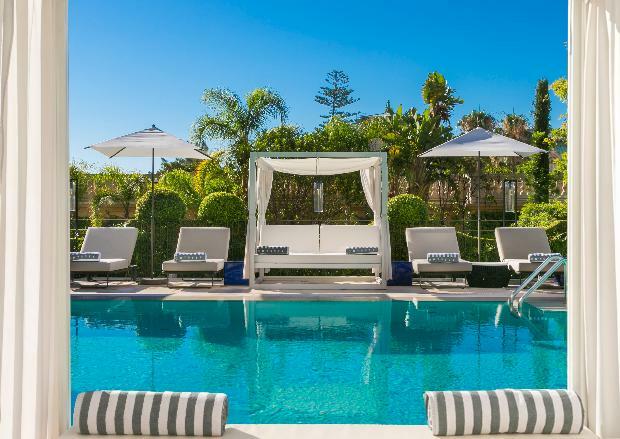 Couples wishing to spend their time relaxing should head to one of the hotel's best features and most Instagrammable spots, the fashionable pool designed by Karl Lagerfeld. A glass installation flanks the heated seawater pool that's set in manicured gardens dotted with private cabanas and a pool house, home to the stylish yet relaxed Odyssey restaurant. As part of Hotel Metropole Monte-Carlo's Just for You luxury bespoke experiences, newlyweds can enjoy a coastal ride in a retro Alfa Romeo sidecar for a shopping trip to San Remo, Italy, or a walking tour of the Principality with a local professional guide. Royalists can step back in time to trace the life of the legendary Grace Kelly, Princess of Monaco, and a highlight for your other half is an experience on board a Formula 3 or Formula 1 car where timings are celebrated and a driver's certificate awarded. No visit to this area in the South of France would be complete without a trip to the Casino de Monte-Carlo. Step into another era with a private tour of this world famous building, or unleash your inner James Bond with a Just for You experience incorporating a visit with a helicopter flight, lunch at the hotel's Japanese restaurant Yoshi, a drive around the French Riviera in an Aston Martin and a reservation at the gaming tables come nightfall. 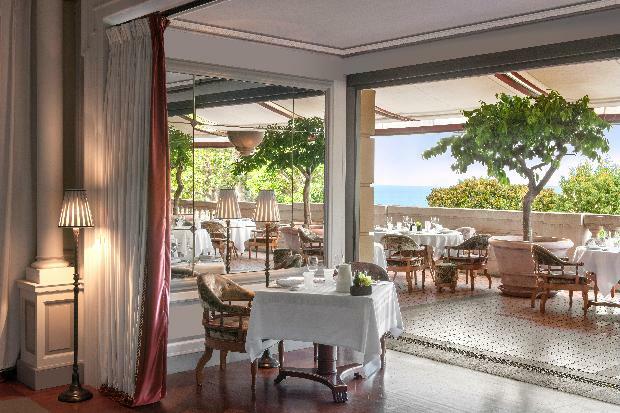 Where to eat Honeymooners looking to dine al fresco for breakfast and also lunch should head to Odyssey, the outdoor pool terrace where the light Mediterranean-inspired menu uses fresh seasonal produce. The palatial hotel offers a choice of three other restaurants complete with music suited to each area created by a specialist sound designer. 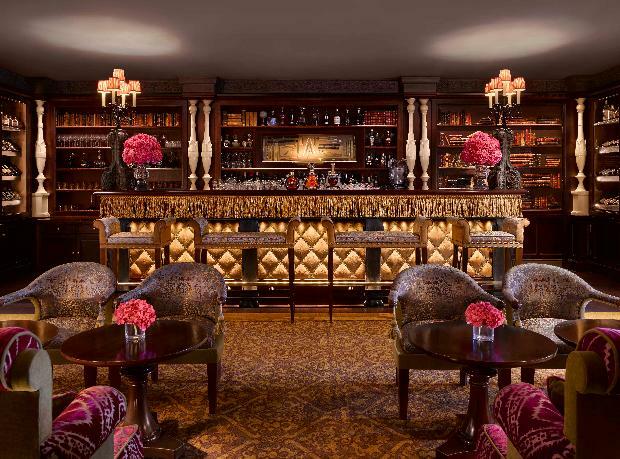 The Lobby Bar provides an intimate, relaxed setting for a spot of lunch, afternoon tea or dinner with its menu of hot and cold dishes, sandwiches and mouth-watering delights available from the pastry trolley. 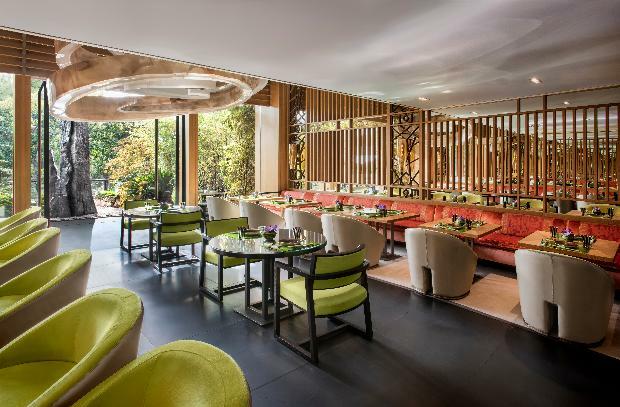 Yoshi is Chef Joël Robuchon’s only Japanese restaurant in the world showcasing a sushi bar with the restaurant opening out onto a Japaneseinspired garden. Finally, with views out to the Mediterranean Sea and across the Circuit de Monaco, home of the world famous Formula 1 Grand Prix, the glamorous Restaurant Joël Robuchon Monte-Carlo has been designed using velvet armchairs, rich tapestry, and the main focal point – an open kitchen allowing guests to watch their food being made right in front of them. The menu here includes healthy Mediterranean dishes that guests are invited to sample paired with different wines from the extensive champagne and wine list.